Mighty, fearsome Vikings come to mind when North Americans conjure up stereotypical Icelandic imagery. But Vikings aren't remembered with the same sense of awe in most of modern-day Iceland. Vikings were pirates, known best for pillaging, robbing, killing and burning down in the farm communities dotting the sparse landscape in the era from 796-1066 A.D. (the Viking Age). Although they were certainly a force to be reckoned with and are an indelible part of Iceland's history, it's rare today to find a resident of Iceland bragging about his or her Viking ancestors. No, far more impactful for Icelanders today are the elves. We spoke with Icelandic historian Ragnar Hauksson, an expert in the history and folklore of North Atlantic nations, about the cultural traditions, celebrations and customs visitors to Iceland may be interested in exploring on their arctic expedition. This upcoming season, Hauksson will join Quark for three itineraries: Iceland Circumnavigation: Ultimate Fire and Ice and our two East Greenland: Northern Lights expeditions. Visitors should understand just how deep a connection residents here feel with the earth, even despite the severe weather and natural phenomena they sometimes face. Volcanic eruptions, calving glaciers, avalanches, floods and mudslides can be a reality for residents of this geologically unique and diverse land. If you're on side with Iceland's elves, though, life on the island can run quite a bit smoother for you. 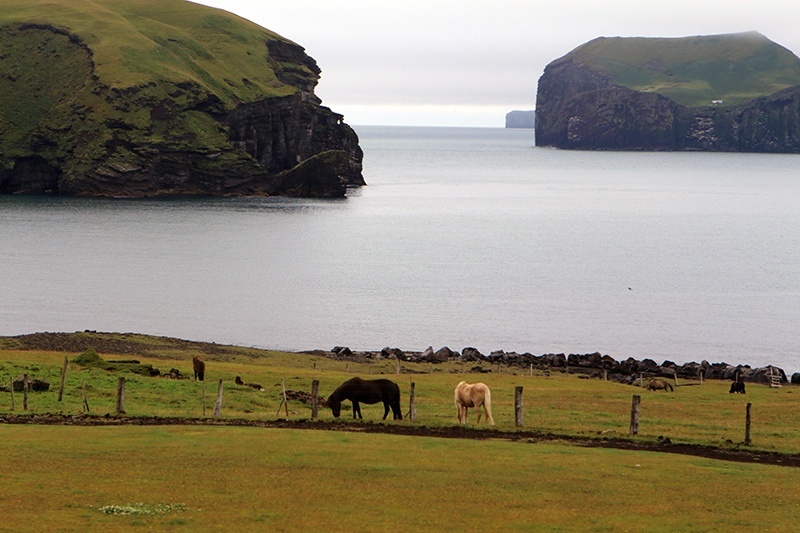 The Huldufólk, or Hidden People, inhabit the Faroe Islands, the wilds of Iceland – and, in tiny wooden houses called álfhól, home gardens across the nation. While the majority of Icelanders believe the Huldufólk are elves (álfar in Icelandic), some do believe the two to be separate entities. Whether they're one tiny force of nature or two, Iceland's mythical elves are not to be trifled with. Hauksson explained the influence the elven have on life and business in Iceland today: "When we start new roads, we have to be careful… for example, if there are big rocks that have to be removed, the elves may be angered by the intrusion." If that rock is the home of elves or Huldufólk, they will get angry at the people destroying their homes. What could elves possibly do to slow progress in the 21st century? "Machines will break down, the workers will break bones, and so on," Hauksson said. Icelanders handle these situations by reaching out to those few among them who are able to get in touch with the elves. "There are a few people who are gifted this way; every Icelander has met someone who claims they have seen or spoken to the elves," he explained. Icelandic natives also know not to throw stones, for fear they may hit an elf. 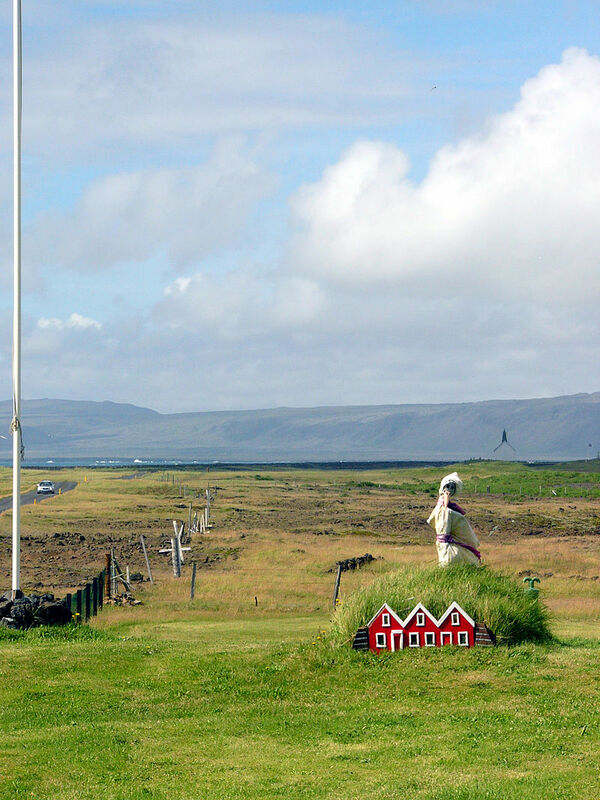 Farmers will avoid cutting the grass in areas known to house the Huldufólk, leaving patches of long grass untouched. Where the elves leave off, the trolls begin. Children curl into bed anxious on each of the 13 nights leading up to Christmas, wondering whether the Yule Lad (jólasveinarnir in Icelandic) visiting that evening will drop a sweet treat (for good behavior) or a rotten potato (for bad) into the shoe they've left out. These sons of the troll (Grýla) were said to have been sent by their mountain-dwelling mother to fetch ill-behaved children she would make her next meal. "Here in Iceland, people normally don’t deny the existence of the elves, even if they haven’t seen them themselves because they’ve heard so much about them," Hauksson told us. Why deny them? Iceland's elves are another fascinating aspect of a country already rich in geographic extremes and steeped in folklore known the world over. And with consequences like Icelandic children have been raised on, why tempt fate (or trolls)? It would be a grave mistake to equate this superstition with old-fashioned ways or simplicity. Aside from the folklore of the Huldufólk, álfar and jólasveinarnir, and the allure of Vikings, those enjoying an Iceland cruise will discover a fascinating study in both human and natural contrasts. These same people who refuse to throw a stone for fear of angering an elf are among the most productive and best educated in the world. Iceland's people are as warm and welcoming as their subarctic climate is icy and dramatic. They honor their old way of life with celebrations like Þorri (pronounced Thorri), the fourth midwinter month, which traces back to the harsh conditions the Icelandic faced in the 18th and 19th century winters. As you can imagine, meal times became pretty grim by February and March, when only pickled and preserved foods remained and residents may have been trapped in isolation on their farms for some time. Today, Hauksson explained, Þorri is marked with a feast of dishes one might have expected to face at the wooden table all those many years ago: smoked lamb, singed sheep's head, whale blubber, ram testicles, dried fish (typically cod) and more. With each Icelandic celebration comes song and dance, family and community get-togethers. The first day of summer brings with it parades and people taking to the streets, while the first day of Christmas on the 6th of January inspires Iceland residents to dance 'round open campfires, singing to one another songs about the elves peeking out from their frozen gardens and the hills beyond. Join us in Iceland, where experienced Quark Expedition Leaders and our fantastic native Icelandic historian Ragnar Hauksson are eager to show you everything Iceland Circumnavigation: Ultimate Fire and Ice small ship cruise has to offer.